Drawing on his personal fascinating story as a prosecutor, a defendant, and an observer of the legal process, Paul Butler offers a sharp and engaging critique of our criminal justice system. He argues against discriminatory drug laws and excessive police power and shows how our policy of mass incarceration erodes communities and perpetuates crime. Controversially, he supports jury nullification—or voting “not guilty” out of principle—as a way for everyday people to take a stand against unfair laws, and he joins with the “Stop Snitching” movement, arguing that the reliance on informants leads to shoddy police work and distrust within communities. 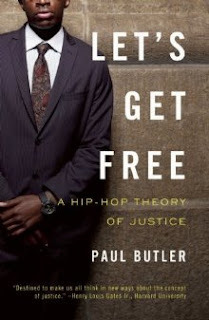 Butler offers instead a “hip hop theory of justice,” parsing the messages about crime and punishment found in urban music and culture. Butler’s argument is powerful, edgy, and incisive. A former federal prosecutor, Paul Butler is the country’s leading expert on jury nullification. He provides legal commentary for CNN, NPR, and the Fox News Network, and has been featured on 60 Minutes and profiled in the Washington Post. He has written for the Post, the Boston Globe, and the Los Angeles Times, and is a law professor at George Washington University in Washington, D.C.